Which is now less than a year away, but have you thought about what that will actually mean for your Business ? We suggest you consider planning upgrading your systems sooner rather than later, saving you time and money and protect you from the risks that running an unsupported operating system will expose you to. In Office 2019, you'll find new inking tools, data types, functions, translation and editing tools, motion graphics, ease-of-use features, and so much more! Check out what's available to you today. 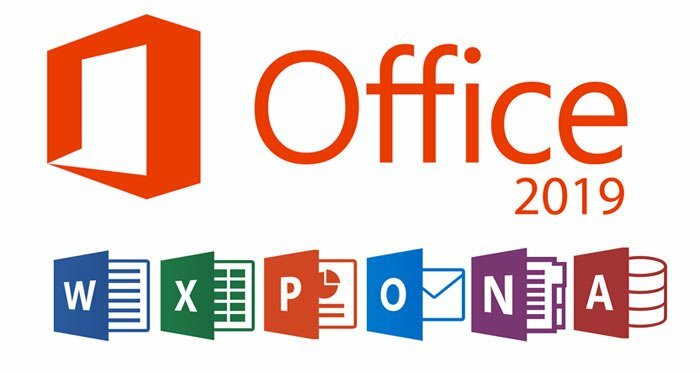 Please be aware that the standalone Office 2019 software will only be supported on Windows 10 and not Windows 7 or Windows 8.1 machines. Thank you to all our clients for their patience while the building work has been in operation for the last three months. I am delighted to announce we are now in our new upstairs offices still at Unit 1 Clinton Business Centre. We welcome you all to experience our new facilities. 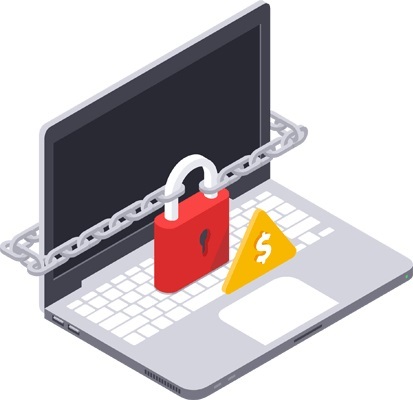 Just recently we have seen a significant increase of systems infected with various different ransomware infections and therefore please be very cautious with junk emails, posing as orders or invoices. Ransomware is created by scammers who are highly knowledgeable in computer programming. It can enter your PC through an email attachment or through your browser if you happen to visit a website that is infected with this type of malware. It can also access your PC via your network. It's obvious when your device has been infected with ransomware, since you most likely won't be able to access your computer. Arron Services provide a award winning, reliable and inexpensive advanced cloud based telephone services specifically designed for small businesses. Anyone can use VoIP Phone Services - you could be a brand new start-up simply needing a new phone number, a growing business needing a flexible way of supporting new staff or homeworkers, an established business needing to replace an obsolete office PBX or switchboard. All controlled though a very simple online dashboard, allowing you to update your call settings, adjust call routing, check voicemails and review your bills 24/7 through a secure portal. Our VoIP provider offer UK based customer support 8am to 8pm. Microsoft Edge lets you move quickly from browsing to doing. Write or type notes directly on web pages and share them with others, read online articles free of distraction, and save your favourite reads for convenient access later. And with Cortana enabled, you can highlight an unfamiliar term to get a contextual explanation that doesn’t take you away from where you are. For further details please contact our Sales Hotline: 01580 891911. It is time to make the move to Windows Server 2012 R2. The clock is ticking toward this end-of-support deadline, but Arron Services offers a number of ways to complete your upgrade in time. 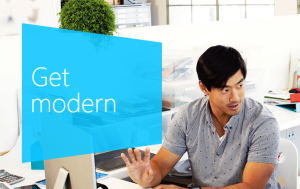 As a Microsoft Registered Partner, we can help you migrate your servers with fewer IT resources, low costs and little to no disruption in productivity. We urge you to start your planning to migrate off of Windows Server 2003 and onto a platform that will provide you the security and reliability that you’ve experienced over the last decade with Windows Server 2003, with the added value of the features now included in Windows Server 2012 R2. While this date may seem distant, now is the time to understand that the end of support and the end of life of Windows Server 2003 means that your business needs to ensure that it has a plan to migrate the applications and workloads currently relying on Windows Server 2003 onto Windows Server 2012 R2 From 14th July 2015, Microsoft will no longer offer security updates, support or technical content updates for Windows Server 2003. The result? If you are still using Windows XP – or you know somebody who does – Microsoft would like you to remember that you only have less than a year before the company will end all support for the operating system it launched in New York on October 25, 2001. Both Windows XP SP3 and Office 2003 will go out of support on April 8, 2014, and XP users will stop receiving any new security updates, hotfixes and support (free or paid) from Microsoft. Worldwide. We are proud to announce that you can now book an engineer appointment with our easy online form. Just fill in this simple form and your booking will be sent directly to us. Keep up to date with the latest news in PC support, software and hardware.